Designed and manufactured in the Brittany region of France, Navylam is an hardwood flooring system ideal for bathrooms and other areas that are often exposed to moisture. 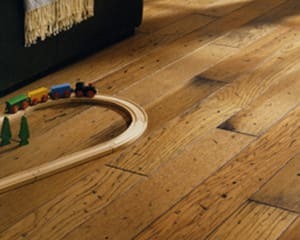 Uniquely designed, Navylam exotic wood floors feature a double integrated joint which allows for fast, simple and reliable fitting. Navylam Acacia from Africa and the Middle East features a distinctive wavy grain and ranges in colour from a light golden brown to a deeper ochre or even umber colour. Acacia trees are common in many regions of the world and provide a sustainable hardwood that is naturally water resistant and long-lasting. Exotic wood floors made from Acacia are less uniform than other timber but are warm, visually exciting and wonderfully rustic. Navylam Doussie, also known as Afzelia africana, originates from central and western sub-Saharan Africa where it is revered for its beauty and traditional healing properties. 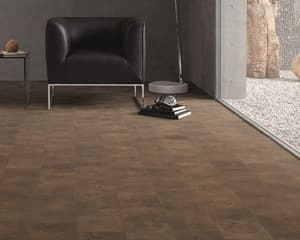 It has a natural golden bronze colour and often features a regular linear grain making it ideal for floors where pattern uniformity is desired. It is considered to be naturally lustrous and tends to mature to a richer umber bronze colour with age. 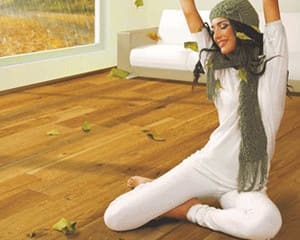 It is particularly well known for its water repelling properties making it an ideal choice when searching for exotic wood floors for bathrooms. Navylam Iroko is mainly from the west coast of tropical Africa. Initially a dark yellow, over time the wood colour darkens to a reddish brown. These variations in colouring can be used to good effect to create attractive and patterned flooring. It has an interlocking grain that results in a hardwearing surface. It is durable, water-resistant and somewhat resembles Teak. These qualities made it ideal for boat building and it is now a popular material for bathroom floors. 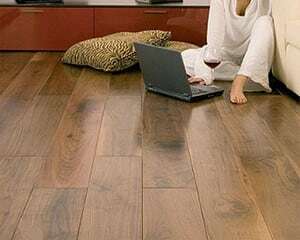 Navylam Mutenye, from central West Africa, is a brown wood and has become an extremely popular flooring product across Europe. Wood of the Mutenye tree is usually found in tones of tan-brown often with a fine very dark stripping. In some cases this is almost black. The grain is straight or interlocked and with a fine texture. Mutenye is a hardwearing wood that will last for decades. Navylam Teak is a tropical hardwood from South East Asia and has a long history of being used for boat building and projects were water resistance was essential. The high natural oil content of Teak, its great tensile strength and tight grain make it a highly valued and popular flooring product. It is generally a honey-brown wood with darker streaks. 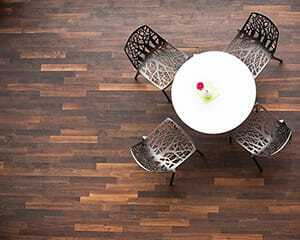 Teak is one of the densest hardwoods available and one of the most hard wearing species used for flooring. Navylam Wenge is a tropical hardwood from central Africa and is a medium brown colour with very dark streaks. 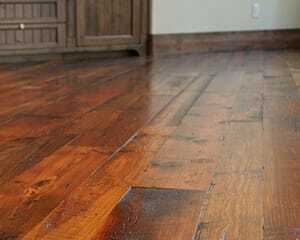 Once treated with oils, the wood becomes dark brown and may even appear black in places. 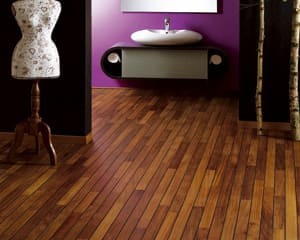 It has a clear but course dark grain making it ideal for projects where uniformity is required. 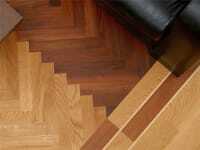 The density and hardness of Wenge wood make sit an excellent choice for flooring with high levels of use. The darkness of the wood has made it popular for designer projects. Navylam is an hardwood product that enhances the use of natural exotic hardwoods. The manufacturing process combines a thick strip of hardwood with a substantial base of layered ply. This ensures excellent stability and flatness and significantly extends the life of the plank as the stresses in the wood are evenly balanced. The expansion and contraction process is greatly minimised thus making it an ideal material for bathrooms. 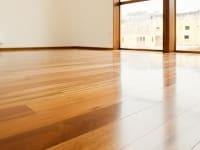 This process also ensures that the upper levels of the floor are 100% hardwood and can be sanded and refinished several times during the lifespan of the floor. 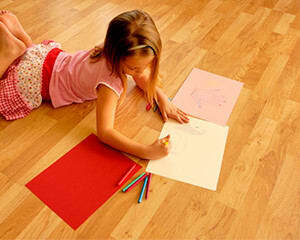 Navylam is produced by Design Parquet of France and marketed in the UK by Maples and Birch Flooring.